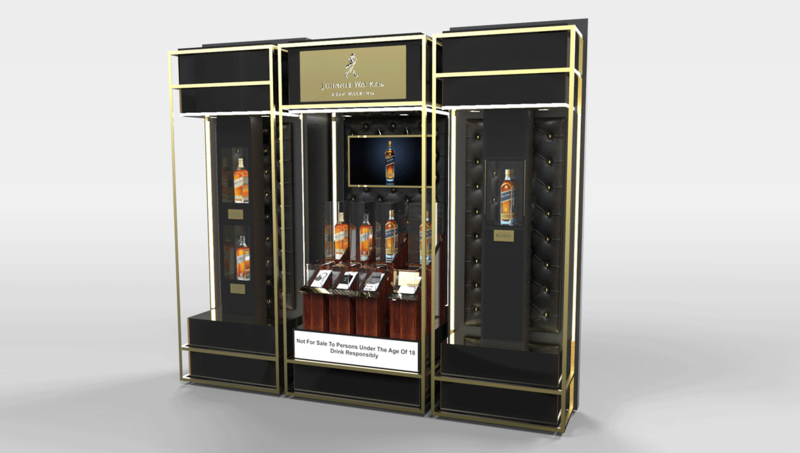 Johnnie Walker Promotion wall was designed for a three month gifting promotion. 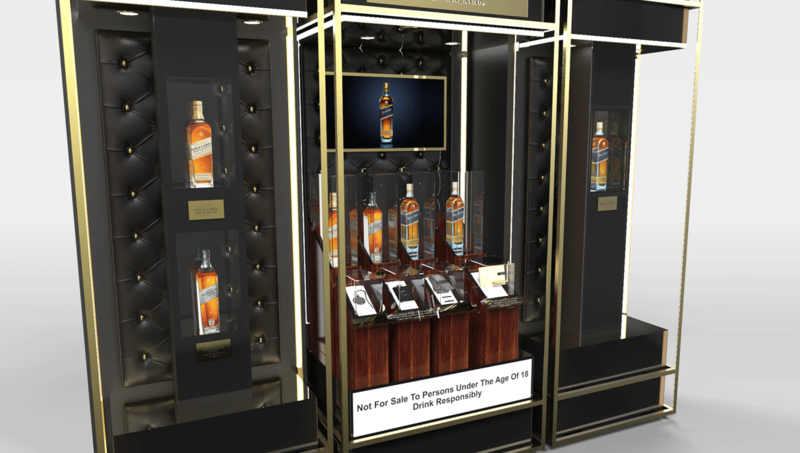 “The Johnnie Walker Promotion wall was designed to create some excitement around a three month gifting promotion, The design was based on the legendary Scottish designer, Charles Mackintosh’ work. 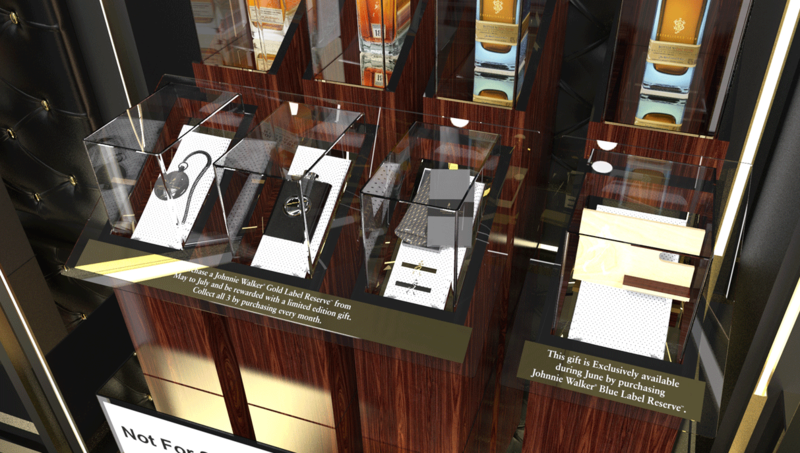 Mackintosh was influential on European design movements in the late 1800’s. His style was linear, precise and used restraint to achieve designs that were not only remarkably beautiful but also functional. He designed around the needs of people. One of the key visual features he used was the use of framing and lines. He would rather let light and shadow create pattern instead of using decoration.